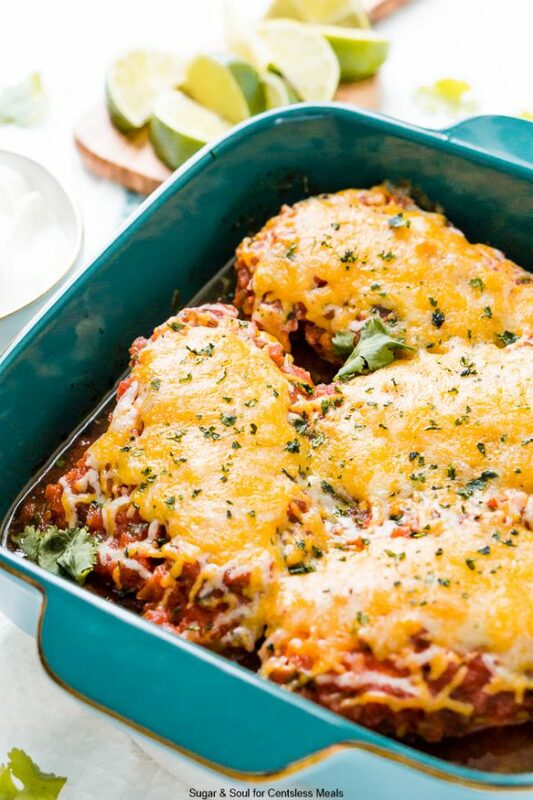 This Salsa Chicken Bake is a mouthwatering and easy dinner recipe loaded with flavor. This easy recipe needs just a few ingredients! 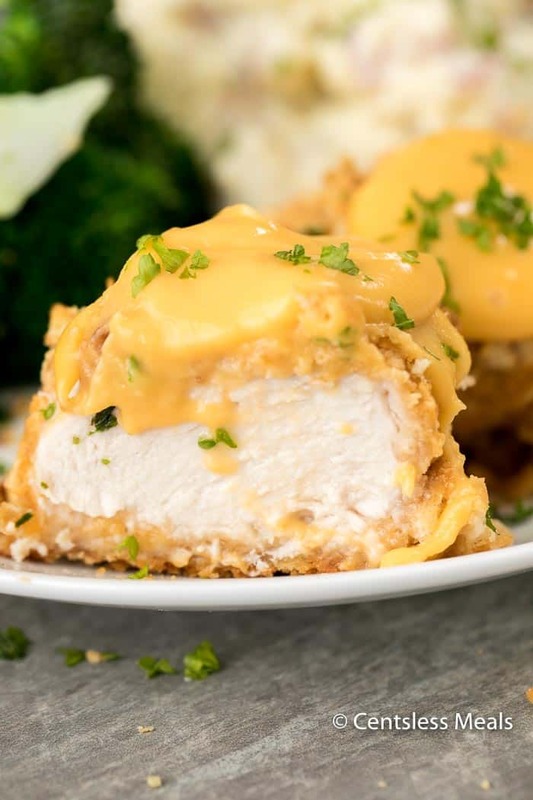 This easy recipe starts with Chicken Breasts, one of our favorite proteins! 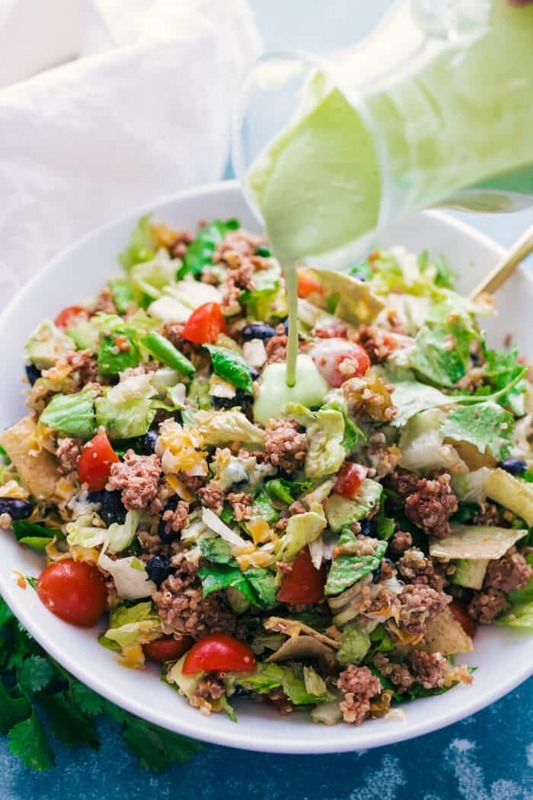 Taco Seasoning is used as a rub to add great flavor and it is then placed in a dish and topped with your favorite kind of salsa! Any type will work including a typical tomato salsa (hot or mild) or even a homemade salsa. 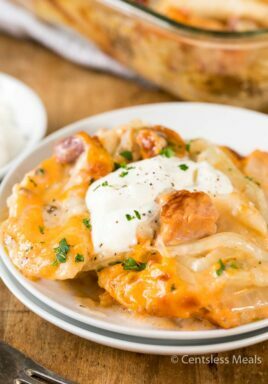 Finally, like many great casseroles, this recipe is topped with Cheddar Cheese (but you can certainly use your favorite, Monterey Jack would be great too). 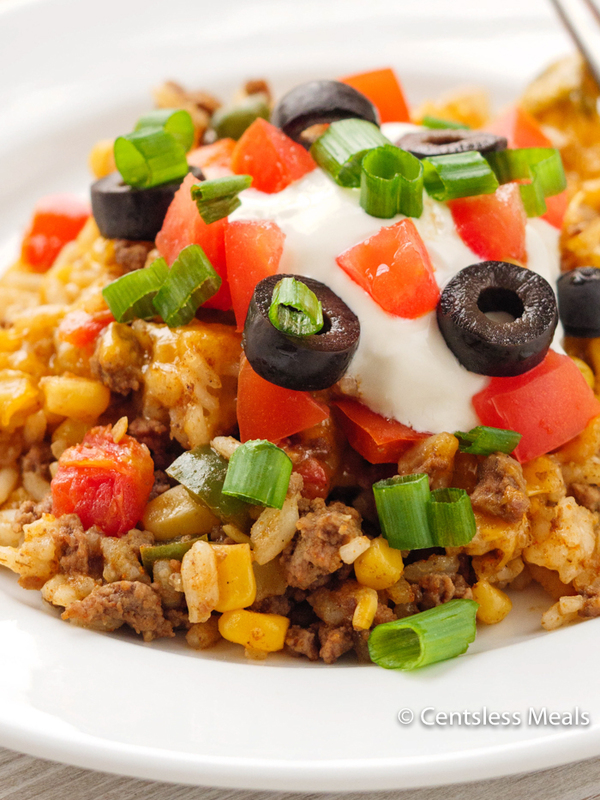 Remove from oven and top your favorite toppings, such as cilantro, sour cream and jalapenos! 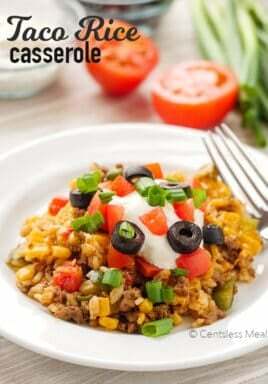 Spanish rice is a great side dish to go with this recipe! 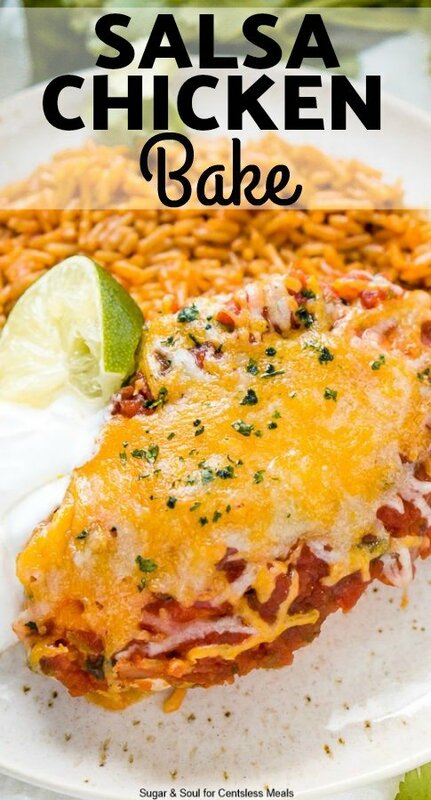 I like to serve it with Spanish rice and a side of sour cream. You can garnish with cilantro for extra flavor if desired! 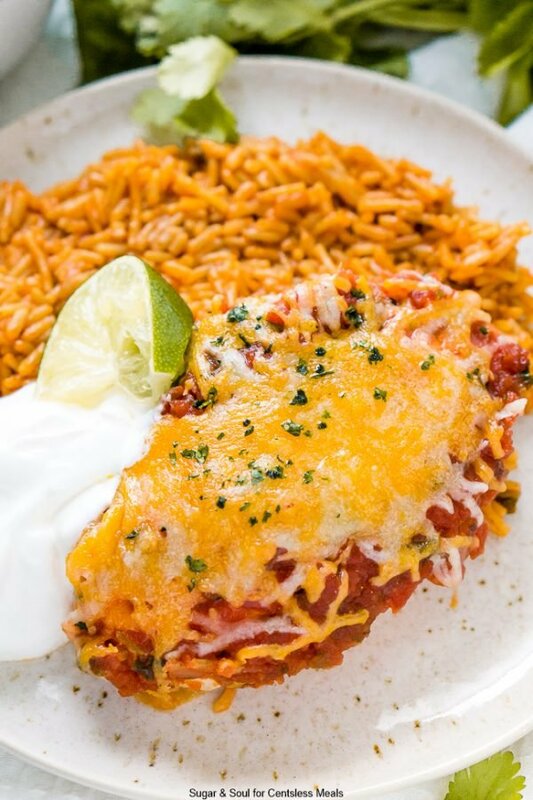 I recommend serving up this Mexican-inspired dish with a refreshing Watermelon Sangria. And follow it up with a delicious bowl of Edible Cookie Dough for Dessert! 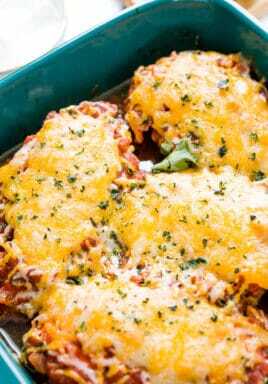 This Salsa Chicken Bake is a mouthwatering and easy dinner recipe loaded with flavor. 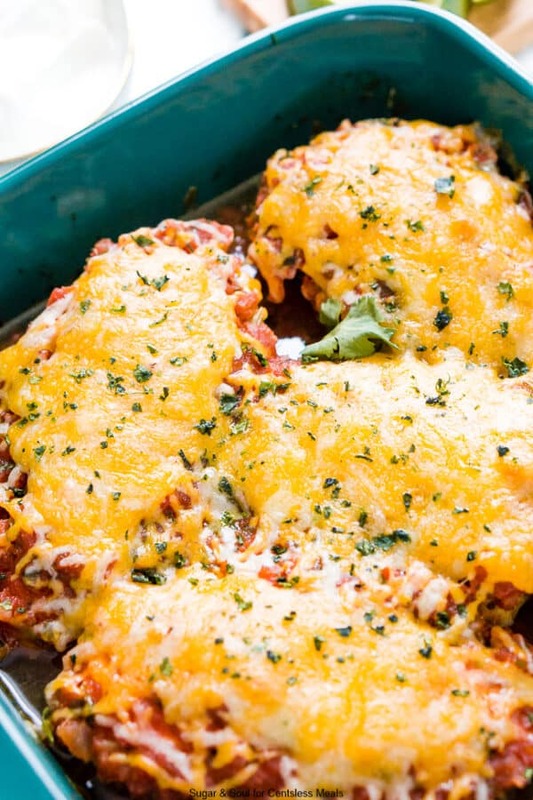 This easy recipe needs just a few ingredients! 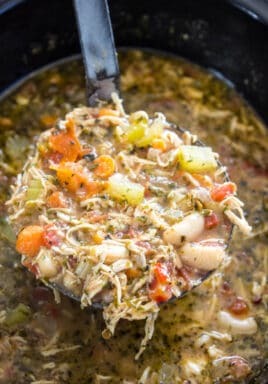 I make this in a crock pot, shred chicken when done and serve on tortillas. Tastes great. Definitely going to try it this way. You’ll love it Jo ann!